Line Corporation, better known for its messaging app Line, on Tuesday made couple of major announcements. The company said it would be shuttering its MixRadio music streaming service in the “coming weeks” and also launched a new app for Android and iOS dubbed as Foodie – Food Photography. The company in a blog post on Tuesday said that it carefully assessed MixRadio’s overall performance, the financial challenges posed by the music streaming market, and priorities of the company before taking the decision to shut down the music streaming service. On the other hand, the company will keep its Line Music service alive that is restricted to Japan and Thailand for now. Line Music service for Android and iOS was launched in May last year right before Apple Music saw the light of the day in June. Line acquired MixRadio service from Microsoft in December 2014. The firm on Tuesday also launched its Foodie – Food Photography app for Android and iOS. As the name suggests, the new camera app aims to let users take better shots of the food. Foodie is just like any other camera app. It straight away fires-up the camera and gives options to switch the handset flash on/off, choose the image aspect ratio between 1:1 and 3:4, and to switch on/off the blur effect. Option to increase or decrease the image brightness from -2.0 to +2.0 is also included. The app also features 24 image filters, which can be applied both before or after taking the shot. In the ‘Best Angle’ feature, once the camera is aligned right on top of the food, the black shutter button on the white coloured bar starts showing “Top” written inside it while the bar colour changes to Yellow. 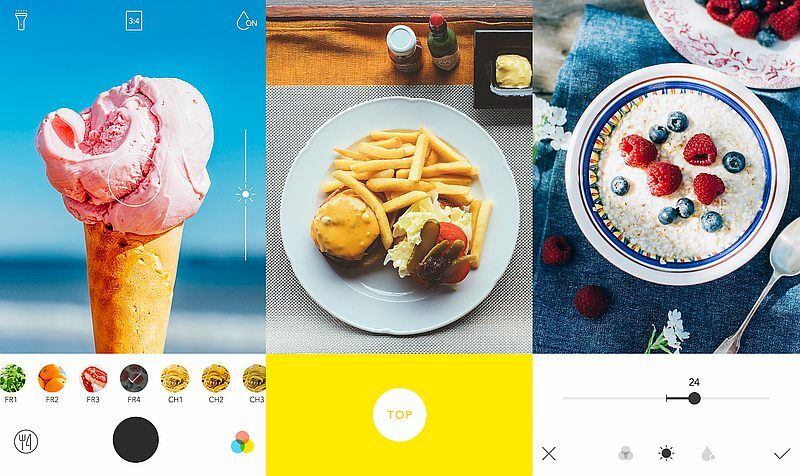 “Since the app’s “best angle” feature lets the user know through vibration and colour when the camera is positioned horizontally above the subject, it’s a snap to take trendy flat lays like you’d see in a gourmet magazine.” Users can not only edit the images shot via Foodie app but others as well. Sharing the images to social networks is also possible. It is worth mentioning that the app puts a small app icon watermark in the images shot via the app. However, it is possible to switch it off by going in to the app settings. The function is switched on by default. The Foodie – Food Photography app by Line weighs 8.9MB for Android and runs on OS version 4.0.3 and later. For iOS, the app weighs 10.5MB and runs on OS version 8.0 and later. It is available to download from Google Play and App Store.